Dunnes stores - who promote themseves as -we're Irish - are in my view the worst for this misleading produce - can you even buy Irish milk or dairy produce from Ireland in Dunnes. Dunnes will buy where ever they can source it cheaper, and Dunnes or their suppliers are cynically labeling as Irish if they can get away with it. Dunnes will buy where ever they can source it cheaper and label as Irish. Only when the � drops in value, will Dunnes abandon the cheap inferior quality British milk sourced from the British provisonal province. Easy to get caught out thinking you are supporting Ireland and Irish producers, I did once! so read the label. IRISH CHICKEN STEAKS in breaded crumbs. But read the back of this revolting tasting chicken based product. You will discover that not only is the product not a real steak, being only 54% chicken, the rest being a mix of oils and other non chicken products. It is not even Irish as in made by Irish food producers who support the state. Is not Irish in terms of Ireland revenue. Produced and packed in Fermanagh. Let me be clear. Fermanagh as we all know is Irish soil and the people who say they are Irish and not British are indeed Irish. 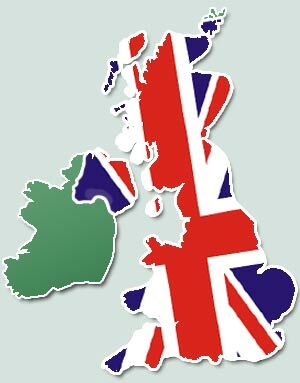 We Irish all want Ireland free of any direct interferance from Britain. But unfortunately at present parts are under British crown occupation, and we should not support that imposition from our pockets. We must not encourage or pretend that NI a subsidized but still 15 billion loss maker is a viable entity, let alone nation. Ireland is subsidizing the statelet, why? NI foods are British - because all � revenues go to the British � Crown. not a cent of the production tax goes to Ireland revenue. NI foods- foods and drinks labeled as produced in Ireland is a cyncial con- do not buy any of these if you think they are Irish - all revenues from NI are handed over to the British Crown not Ireland. Moy chicken are another crowd of cynical chancers, even implying in one most Oirish advert they have ancient connections to Donegal. Once again Moy is a British company that selectively uses Irish symbols for profits. British Conservatives and Unionists perversely imagine they can laugh at the crisis in the free state. Their evil enjoyment is no surprise to any of us who were unfortunate enough to be born and trapped in the British sectarian state. We also know the British unionists like to benefit every way. They claim to be British and proud! But if being Irish has a benefit for them - a profit - you can guarantee that the DUP and UUP will be 100% Irish for that transaction. British Unionist politicians are actually complaining, crying to the EU that foods from their so called British Northern Ireland and ulster, is being labelled as British, with a butchers apron sticker. That extremely hypocritical and double standard when it comes to making money, shows just how loyal and credible unionists really are. Irish people and anyone looking to buy Irish, need to double check all foods, make sure that it says both Irish and has a IE or Ireland as origin. As you can see some foods are being labeled as Irish but are for the benefit of the UK tax man. These will have a UK origin. Dairy produce, especially milks and cheese, are being duped on the naive goodwill of Irish shoppers. Irish people and anyone looking to buy Irish, need to double check all foods, make sure that it says both Irish and has a IE or Ireland as origin.. If it has a UK origin, you need to reject it and buy a genuine Irish product. Do not buy any British foods or drinks which label their produce as Irish. Ireland tax revenue gets no direct benefit from the UK business using the Irish label. 40% of all NI exports - which the British exchequer benefits from - is purchased by the free state. NI produced foods and drinks are not Irish - the profits go the British exchequer. It is ironic that NI relies upon the free state's kindness and tolerance - naivety. The time has come where the Irish must stop paying for the British state of NI. In spite of all the problems the free state has - the average Irish person is still much better off -than those of the British war imposed NI. The economy of NI is never in crisis - because it has never been viable to have a crisis. The Orange Bigots have had the begging bowl for hand outs since the illegal partition of Ireland. The Free state was bullied and robbed by the British - that was how they paid for their British terror satellite NI. People from the free state - what is the point of calling it a Republic - you surely must all realize this now. All Irish people and the Disapora should know that British Unionists are laughing behind their backs as they pass off their produce as Irish. They hand over all the revenues from their fraud foods to the British Crown. This is the economic reality - so stop buying NI as Irish produce or produce of Ireland. These small minded Unionists are full of hate - and conveniently ignorant to the fact that they depend upon the free state to survive. NI was set up as state controlled by force of arms of the British- not by free will or democracy. The British have taken all the tax incomes from all parts of Ireland for hundreds of years - and they continue to take all revenues from their remaining statelet they call NI. Do not buy NI foods- foods and drinks as Irish or produced in Ireland - all revenues are handed over to the British Crown not Ireland and the Irish. If Unionists want to be Irish - promote their produce as Irish - they must send their tax revenues to the Republic of Ireland. The Republic of Ireland should be reported to the European Commission and face action in the European Court of Justice for discriminating against food products from the north of Ireland. The call has come from Conservatives and Unionists MEP Jim Nicholson, who claimed steps were being taken in the Republic to discourage shoppers from buying food products originating from the north of Ireland. He claimed, in earlier incidents, Union Jack stickers had been placed on food products from the north of Ireland in a number of food retail units in the Republic in an attempt to discriminate against produce imported from over the border. In addition, he claimed, there had been plans from the Irish Food Board to stop labelling the north of Ireland food as Irish to discourage consumers in the Republic from buying it. �I believe that where evidence of discriminatory practices such as this exists, then it should be reported to the EC for potential action in the European Court of Justice. Mr Nicholson was speaking after leading a delegation from the the north of Ireland food and drinks industry to Brussels to discuss proposals for country of origin labelling with EC representatives. He said sections of the agri-food sector in the north of Ireland feared such proposals would have a negative effect if implemented in its current form. Dunnes stores - who promote themseves as -we're Irish - are the worst for this misleading produce - can you even buy Irish milk or dairy produce from Ireland in Dunnes. Dunnes will buy where ever they can source it cheaper and label as Irish. Only when the � drops, will Dunnes abandon the cheap inferior quality British milk from the British provisonal province. NI foods are British - because all � revenues go to the British � Crown. NI foods- foods and drinks labeled as produced in Ireland - do not buy any of these if you think they are Irish - all revenues from NI are handed over to the British Crown not Ireland. they must send their tax revenues to Dublin - not to the uk. Michael Hall, managing partner of accountants Ernst & Young, said it was important to distinguish between the north of Ireland firms dependent on the Republic�s domestic market, and those dependent on its relatively buoyant export market. Rising VAT in the Republic could see another exodus of shoppers from the Republic to the north of Ireland � but not in the immediate future, Mr Hall said, as levels in the UK and Republic will be more or less neck and neck until 2013. People do indeed need to eat - even Irish people need to eat and drink - but we do not need to buy any foods or drinks from NI. All revenues of Produce made in NI go to the British crown. The Irish in Ireland do not need to buy any of their second rate - inferior quality UK standards foods or drinks. Interesting that Ernst & Young can see a way for the uk to work around the crisis in Ireland - the same british accountancy company that approved the falsified accounts of Anglo Irish bank. Ernst & Young has the ignominious distinction of being an auditor to Lehman Brothers and Anglo Irish Bank.